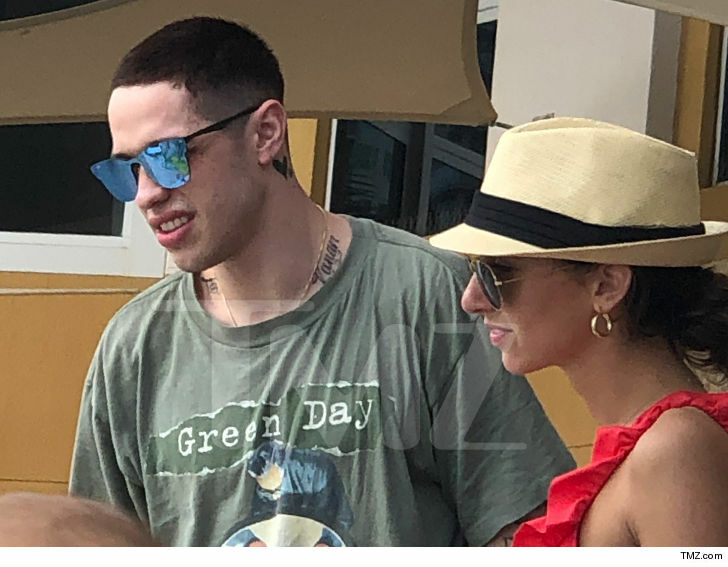 Pete Davidson is ending the year on a good note — he’s got a new haircut … and, possibly, a new girl by his side. The ‘SNL’ star was hanging out in Miami Saturday with a mystery girl at the Mandarin Oriental hotel, where eyewitnesses tell us they were chatting over lunch. Hard to tell who this chick is, but one thing’s for sure … Pete seems to be happy in her company. It’s been a rough year for Pete, so it’s great to see he’s enjoying himself to round out 2018 … and going wherever the hell his heart desires. You’ll recall … he was just in Cleveland last weekend watching Machine Gun Kelly‘s concert, and had the best seat in the house. He was covered up then, so we couldn’t make out his new ‘do. Now that we’re seeing it in all its glory, we gotta say … he looks fresh. As for whether this was another date for Pete — he recently went out to dinner with a previous mystery girl — or just chillin’ with a friend … we simply don’t know. There aren’t any dead giveaways here to tell us this was romantic, but if it was … good choice, PD.